One of the most popular recipes! 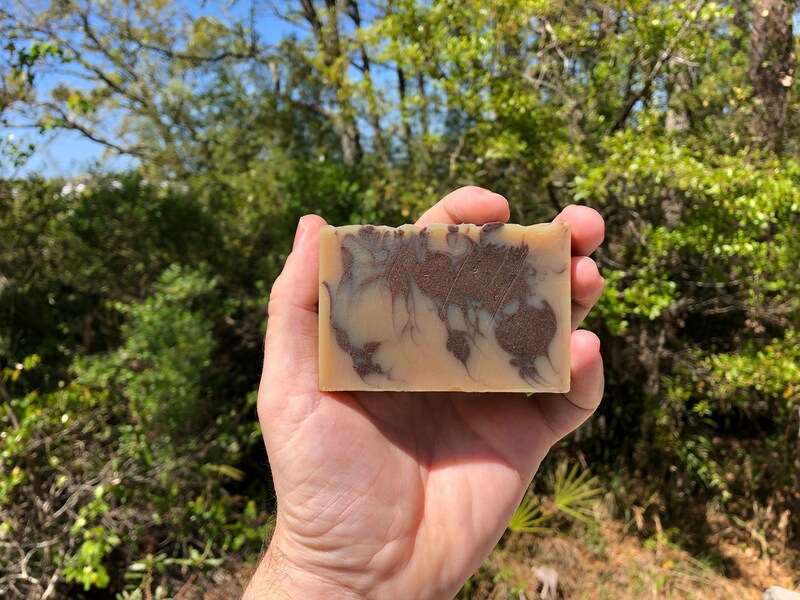 Our mocha coffee soap is made with coffee essential oil and loads of cocoa butter for a smooth chocolate coffee aroma that helps tighten skin and even skin tone. 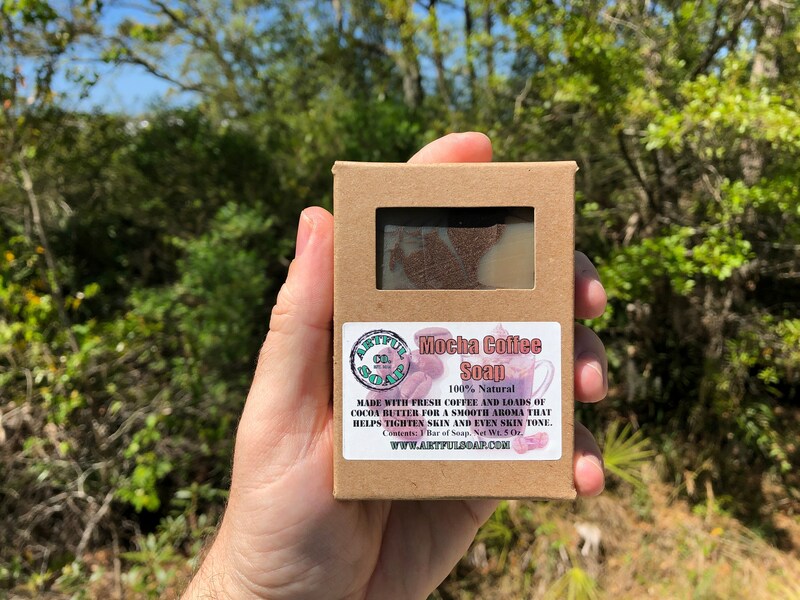 Pure coffee soaps have been said to help resolve any cellulite problems and tighten skin. Our soap is made with only the purest ingredients and we are excited for you to try it! Caffeine has potent anti-inflammatory properties that make it ideal for reducing inflammation and redness in your skin. A 1981 study performed at the Seoul National University found that caffeine is able to reduce inflammation almost as well as aspirin. Overall, use of skin care products containing caffeine will reduce and prevent inflammation and redness, leaving you with a beautiful, even skin tone. Caffeine skin care products have also been shown to reduce under eye circles and puffiness. Caffeine can reduce the appearance of cellulite. In a 2008 study performed at the University of São Paulo, researchers found that skin care products containing caffeine reduced the size of cellulite fat cells by 17 percent when applied topically. In addition, a 2007 study performed at the Federal University of Rio de Janeiro found that caffeine applied to cellulite areas decreased the hip's diameter in almost 70 percent of participants. Our customers also agree that our product is effective with continued use. 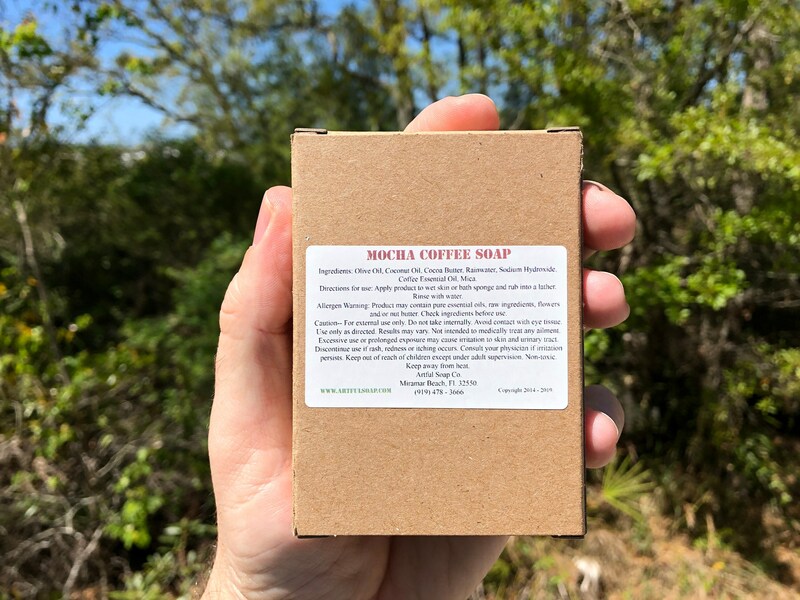 Take advantage of the power of caffeine by using our coffee soap at home. Ingredients: Olive Oil, Coconut Oil, Coca Butter, Rainwater, Sodium Hydroxide, Coffee Essential Oil, Mica. Enjoyed the soap. Smelled great.